The live, fan-favorite ceremony will be hosted by actor-comedian Russell Brand, and the cast of "The Dark Knight Rises" will be on hand to introduce never-before-seen footage from the latest Batman caper. 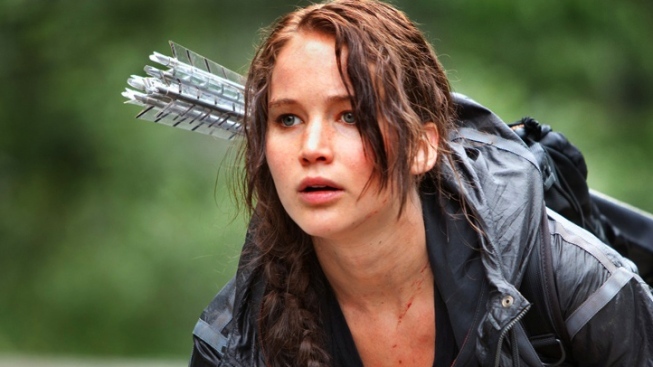 "Bridesmaids" and "The Hunger Games" are battling for the most buckets of golden popcorn at the MTV Movie Awards. The raunchy comedy and survival saga are the top nominees at Sunday's 21st annual extravaganza with eight nods apiece, including movie of the year. The other contenders up for the night's top prize are "Harry Potter and the Deathly Hallows: Part 2," ''The Help" and "The Twilight Saga: Breaking Dawn — Part 1." The MTV Movie Awards will also feature performances from rock band The Black Keys, rapper Wiz Khalifa and indie-pop group fun. Martin Solveig will serve as the house deejay at the Gibson Amphitheatre show. Presenters expected to hand out popcorn-shaped trophies in such categories as "best kiss," ''best on-screen dirtbag" and "best gut-wrenching performance" include Channing Tatum, Emma Stone, Andrew Garfield, Kristen Stewart, Chris Hemsworth, Charlize Theron, Michael Fassbender and Mila Kunis.